Natural de-stressing & calming plug-in diffuser, plug in and you will notice a difference as the de-stressing properties are slow-released into the surrounding area. 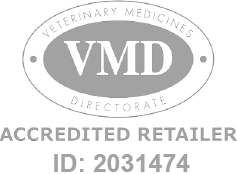 Pet Remedy Diffuser & Refill is a Prescription Only Veterinary Medicine and by law requires a prescription from your vet. Natural de-stressing & calming plug-in diffuser, plug in and you will notice a difference as the de-stressing properties are slow-released into the surrounding area. Pet remedy contains a unique treatment of Valerian essential oil, blended with Vetivert, Basil Sweet & Sage. Suitable for all pets including dog stress, cat stress, rodents, horses, all other mammals and birds.